Nose: Stone fruits and leather aromas are bright and tangy, sweet pear alongside. Palate: Silky, soft, with flavors of white tea, freshly cut flowers, pears, and lemons. Clean and crisp. An award-winning Cognac that is remarkable for its young age. 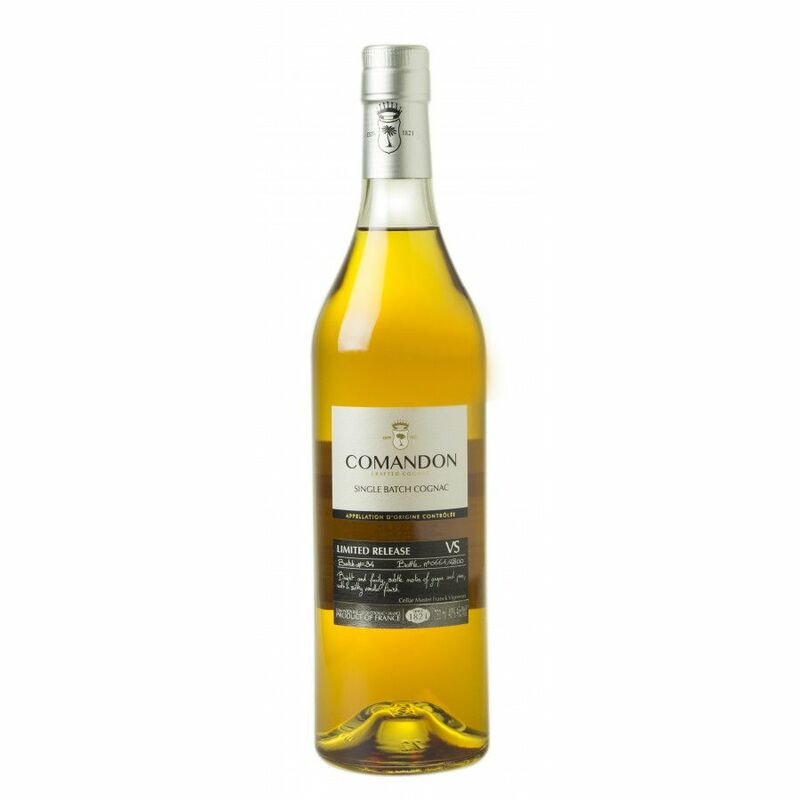 The Comandon VS Cognac is a masterpiece of some 40 eaux-de-vie from a range of prestigious terroirs in the region. Aged between 4 and 8 years, the eaux-de-vie are left to mature in red Limousin oak barrels to enhance the Cognac with light aromas. With expert blending and savoir faire, the result is a smooth and exceptionally fine VS. This Cognac is certainly worth celebrating hence its umpteen awards. As a limited release, Comandon choose to blend in small batches so once it’s been drunk, that’s it. The Comandon Very Special arrives in a smart looking decanter, and a bespoke box that will look fantastic on display. Unconventional and highly innovative, it’s no wonder Comandon collect so many awards. With two centuries of history dating back to the very town of Cognac itself, Comandon is the essence of Cognac heritage. That said, they do not cease in continuing to push boundaries in Cognac production by producing only small batches, and selecting only the finest eaux-de-vie from certain crus. They value fresh, young flavors that are better than the older eaux-de-vie, and this has proven successful in their quest to be a unique Cognac brand. As a family business, the savoir faire of blending eaux-de-vie has been passed down to the Vigneron family, and it is one of the few independent Cognac houses that still controls all aspects of production in house. It pairs perfectly with cocktails, but can also be enjoyed neat.